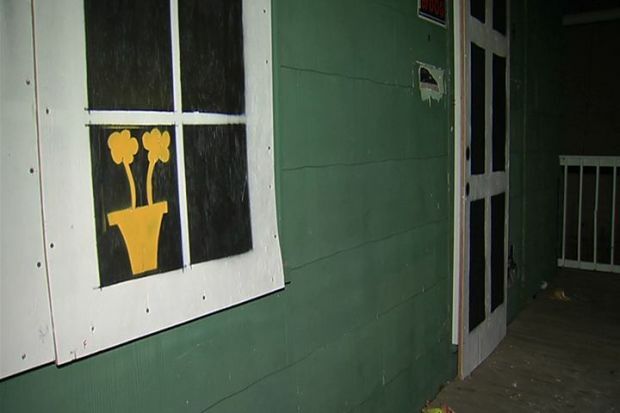 The city of Waterbury wants criminals to stay away from abandoned homes, and has just found a new way to protect those properties and make neighborhoods safer. Abandoned homes have plagued neighborhoods across the city. “It's a dangerous situation and terrifying to say the least,” said Rachael Durette. She lives by a handful of these properties on Summit Street that are covered in brown plywood to keep out criminals and squatters. Durette said the effort was a good one but hasn't been 100 percent successful. Waterbury in now boarding up abandoned homes differently to make it look like the places have windows and doors, and that someone takes care of them. The goal is to make criminals and squatters think twice about being here, and neighbors say its working. “This one next door people are constantly breaking into it,” she explained. One of them just started to stand out because it wasn’t an eyesore. A week ago, the property was a hotspot for drug dealing, but the Blight Task Force recently used a new method to board it up. They put up painted plywood, so it looks like the place has windows and doors and someone takes care of it. “If something looks nice you’re not going to think about bothering it,” Durette added. That was the goal. The Blight Task Force wanted criminals and squatters to see the improvements and think twice about being here. Rachael Durette said this was already working in her area. “Since those windows or boards have been up I’ve seen no traffic,” she explained. The new materials are more expensive. They cost the city a few hundred dollars extra per home. The Blight Task Force said there was money in the budget for this, and it’s more than worth it. “It looks better… it looks like it’s inhabited and there’s people in the house,” said Michael Gilmore. So far six homes had been fixed up across Waterbury. As this project moved forward, organizers said crime could go down city wide. “It gives us a chance to believe we can live in the white picket fence neighborhood and that’s what I want for my children,” said Rachael Durette. Neighborhoods would eventually look better too, but the changes were expected to take some time.